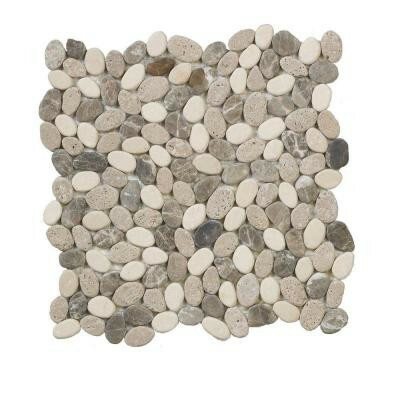 Bring the outdoors in or leave the natural beauty of River Rock Mosaics outdoors to add unique detail to any bathroom, kitchen, hearth surround, and cabana. Add rustic detail to kitchen backsplashes, tub and shower surrounds, pool and spa water edges, pillars and accent walls. Mesh mounted River Rock mosaic tile. You can buy this product in our internet market. We will be glad if you make the right choice. 1 square foot per piece, each piece sold individually. Piece weight 3.5 lb.